opportunity to mark their milestone. 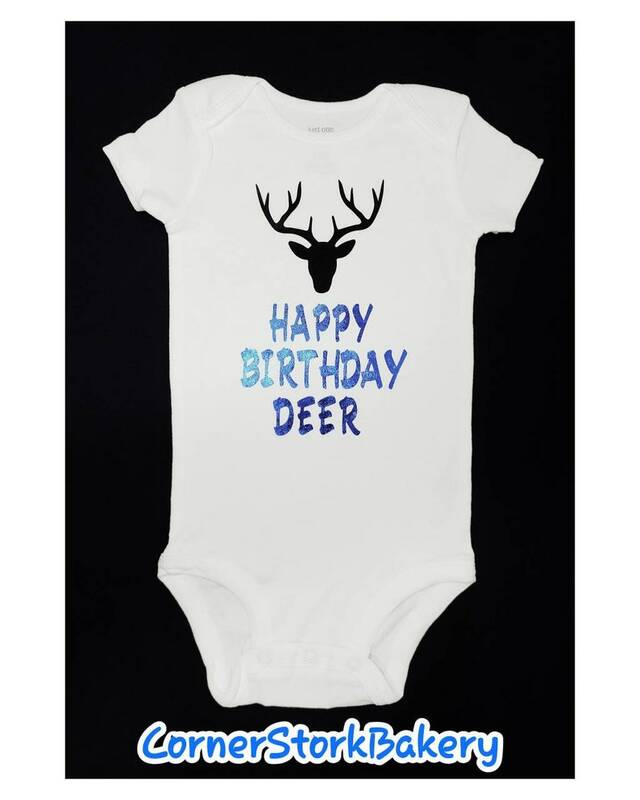 This listing is for 1 Happy Birthday Deer onesie. • 1 Gerber's brand white short sleeve with "Happy Birthday Deer" and a deer head made with htv in blue and black. Can be made in different colors per request. Maybe in pink?